A blackhead problem is often seems in the people of any age. But sometimes it is rare in children or Youngers. 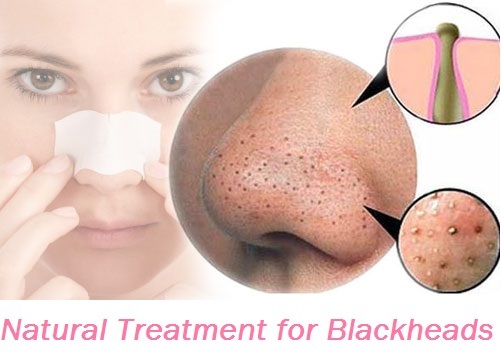 Blackheads appear on the certain different areas of the skin like nose, chin, cheeks etc. But particularly it is appeared on nose. The main cause of the appearance of blackheads are the hormonal changes occur in the body of male and female at the age of puberty and it is also due to the excessive use of cosmetic products. If we consult with the doctor, he will definitely give the prescription regarding the medicinal treatment which mostly contains some kind of side effects that could be harmful in the future. So it is possible to have natural treatments by the use of thousands of useful ingredients easily found in the kitchens. 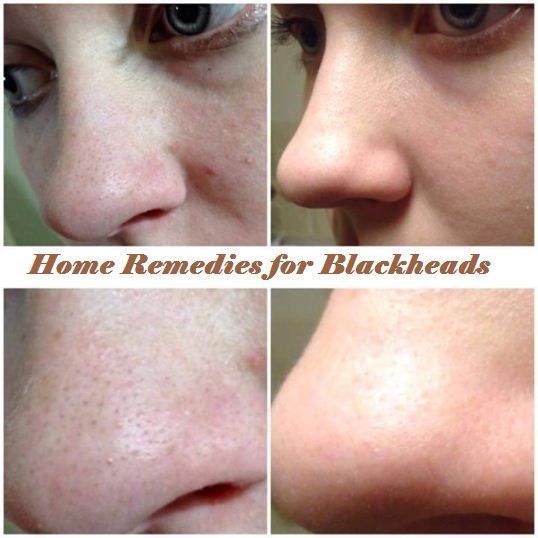 Here are some top home remedies due to which you can treat your blackheads yourself. Baking soda is probably used to treat the blackheads and acne as well. The dirt and debris get stick in the layers of the skin and baking soda fights against these problems very easily. Take two tsp of baking soda. Mix it with the mineral water until it becomes like a smooth paste. Apply this paste on the areas where you see the blackheads are found then massage the areas with the smooth and gentle hands. Let it dried for few minutes then rinse it off with warm water. Repeat the remedy twice a week. Cinnamon is also a great option to remove the blackheads as soon as possible with an easy method. Take one tsp of cinnamon powder and honey. Mix them together until it form like a thick paste. Apply this paste on the blackheads areas before going to bed. Leave this paste overnight on your face. Wash it off in the morning with normal water. Follow this remedy regularly for about 10 days. When mixing the oatmeal with the yogurt, a great combination is formed and it is purely a reliable method for getting rid from the blackheads. Take one tsp of honey and four tomatoes (squeeze out the juice). Mix them in the adequate amount of oatmeal and make a paste. Scrub this paste on the areas where you need to be treated. The lemon as used in acne cure is also good for curing the blackheads. It is good for the skin because of the presence of essential nutrients and vitamins. Mix lemon juice, yogurt, honey and salt together. It will become like a smooth paste. Scrub the paste on the affected areas with the gentle motion of your hands. This paste is like a natural exfoliating mixture which will also cleanse your skin. Use this remedy for 12 days. Green tea is also essential for the skin containing blackheads. Take one tsp of dry green tea leaves and a little amount of water. Mix them together to form a paste. Scrub it gently on the targeted parts of your skin that possess blackheads. Leave it for two to three minutes then wash it off with lukewarm water. This scrub will also work as the deep cleanser for oily skin and unclog pores. Honey is suggested for both oily skin and blackheads because it contains a good quality of action against these two problems as it plays an important role to hydrate and tightening of skin pores and gives you a clear complexion. Apply some amount of pure honey on your face where blackheads are found. Turmeric which is great to cure the minor burns and injuries, similarly it is also good to treat the blackheads. Take some turmeric powder and two tbsp. of mint juice. Mix them both well together then apply on the affected areas. Let it dried for few minutes then wash it with lukewarm water. You can also make a paste of turmeric powder, sandalwood powder and milk. Follow the remedy for twice a week. Epsom salt is also very effective for curing the blackheads. Mix one tsp of Epsom salt and few drops of iodine. Pour the mixture into a little hot water until the salt particles are dissolved completely. Allow the mixture to become cool down to room temperature. Take a cotton ball and apply the mixture on the particular areas. Let it dry then clean with the cold water. The rough and harsh pores due to the dirt, appear on your skin which can be promisingly treated with the cornmeal. Mix one tbsp. of cornmeal powder and some amount of regular facial cleanser that you use. Before scrubbing the mixture, take steam so the pore on your face would open. Apply the mixture on the targeted areas with the circular motion of your hands. After few minutes, rinse your face with cold water. It will help in closing the pores. Fenugreek method is one of the simplest and pure methods. Mix fresh fenugreek leaves with a little water and make a thick paste. Apply the paste on the affected areas then allow it to dry for 10 minutes.